Nothing says fall like a trip to the pumpkin patch or piles of pumpkins dotting your landscape! 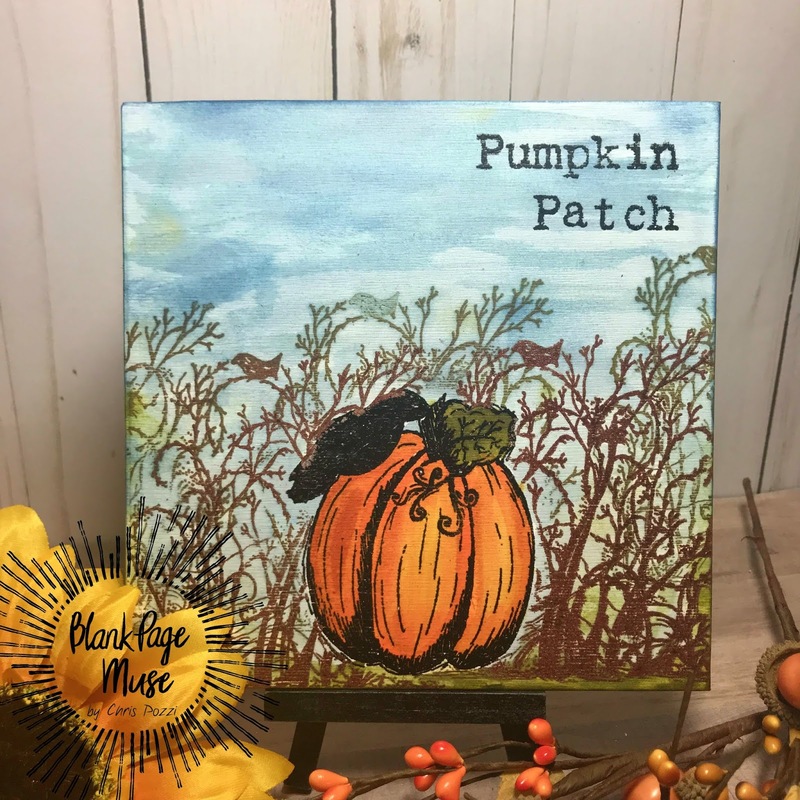 This art board makes for a great gift or addition to your fall decor. Start by stamping pumpkin from Fall Collection 2 Rubber Stamp Sheet Set by Pam Bray Designs on scrap paper for mask and artboard. Emboss image on artboard with embossing powder. Fussy cut mask and use to mask pumpkin while stamping background with Fall Rubber Stamp Sheet Set by Pam Bray Designs in light brown ink. Emboss over background. Stamp background again without embossing to create shadow effect. Stamp "Pumpkin Patch" and emboss. Color ground with Distress Inks. Paint pumpkin with Distress Inks. Paint Sky with Distress Inks to finish. I hope you are inspired to get stamping and Happy Fall!